The Pioneer GM-D8601 class D mono-amplifier is the best bet if your drives to work are getting a little boring. It provides clean and crisp music and enhances the sound quality in the process. So if you love to listen to music while driving, the Pioneer GM-D8601 is one of the best products for you. 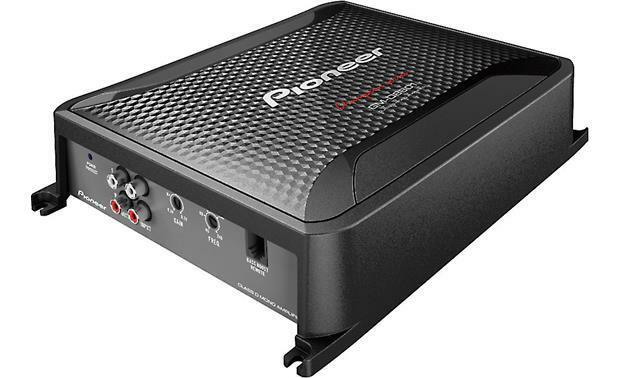 Pioneer is a leader in the field of car stereos and amplifiers. The GM-D8601 is compact and efficient. It packs a heavy punch for its size. The amplifier gives a powerful sound with 1600 watts of power. It is quite compact. So, you can fix it in any vehicle without facing any issues. You don’t have to turn the set off to prevent overheating since there are no such issues with this amplifier. It has a great rating on numerous customer review sites. Most customers have given the product a 4.6 out of 5 stars for the quality and price. The versatile design of the Pioneer GM-D8601 gives full value for your money.